Remembering Barcelona, the wedding dress, its thief and his lover, I think of the Esmeralda disco version of Please don’t let me be misunderstood. I was disappointed when the famous director Tarantino used the song in one of his films because it did not fit my memories of the piece. Music possesses tremendous power. I hear a song from my youth and feel like my cells are rejuvenated! Not surprisingly, the base beat of dance music including old flamenco runs through One Dress, One Day, a playlist or soundtrack. Radios in shops or restaurants during the day plus disco-bars at night still added to the atmosphere of Barcelona in 1990. One-hit wonders or novelty songs could climb the charts then disappear, Yet for a short time songs could unite audiences then more than now. Iphones, headphones, subscriptions to satellites through televisions have changed the popular music scene. The Eurodisco hit never loses its flavour. You can hear the pounding of feet and hearts. The older version by the Animals was sung on the Ed Sullivan show! So many artists performed this song. Nina Simone lent her distinctive sound interpreting the song more as a protest about racial tension. Few people would recognize it as the same composition in the late 70s with its traditional Spanish beat. Besides the Flamenco flavour, nostalgia, even a bit of kitsch, the lyrics suit Francisco (aka Calif) who stole the gown. Somehow the double-crossing con was not an angel but did possess charm. I have made him an endearing character. Through these lyrics, that street-savvy con artist and thief could be speaking to Inma about his love or lust. The lyrics merit another reading. A key moment early in One Dress, One Day takes place when the thief offers the barmaid the stolen wedding dress. The stole and overskirt remain in his possession, but Inma does not know that. Inma has caught a glimpse of glamour, haute couture, … Inma devours glossy magazines, HOLA, Paris Match Vogue España, etc. Francisco wants her body not her money. Desire on both sides of the bargaining table. As a novel, there are still classical Hollywood references. What follows are quick extracts. The first describes the wedding dress thief, Francisco, startled while talking to Inma. Some characters have a love-hate relationship with soap operas and behave like telenovela stars. Inma always dresses as if life were a stage. There;s no place like home! The power of a pair of shoes! We know the feeling. Ever wish you could click three times and be home? Home could also be a psychological home, a good place or a safe place. The divine Miss M (Bette for her friends) once said that with the right pair of shoes, she could play any role. 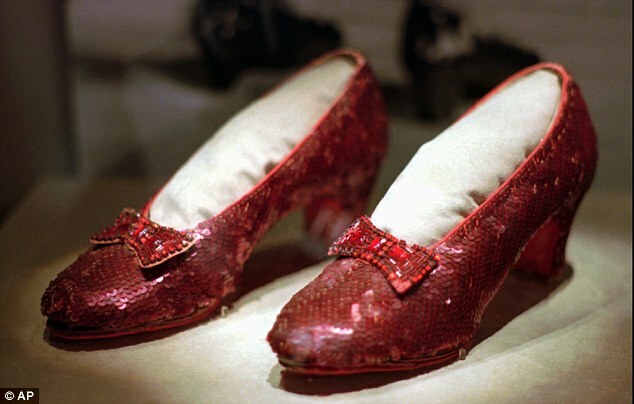 Who could forget Judy Garland wearing Dorothy’s ruby slippers?! The FBI just retrieved them in a scenario worthy of Hollywood. In ONE DRESS, ONEDAY, Inma knows the power of shoes. Hers was an established family in the Spanish leather trade. See extract below photo. As they say, C'est le bouquet ! C’est le bouquet ! As they say. I had checked around when naming my blog but did not think of twitter. No harm, no foul. I am glad to share the spirit of the name, regardless of punctuation! My blog is a ‘making of’ that describes the steps in the process of getting my story out there. Based on real events, One Dress, One Day takes readers on a 24-hour romp through Barcelona and parts of Northern Spain in search of a stolen wedding ensemble. Engaging, bittersweet, this hybrid genre (novel+scenario) lets readers imagine the silverscreen version, very a la ALMODOVAR. Just to be clear, address below is not mine. 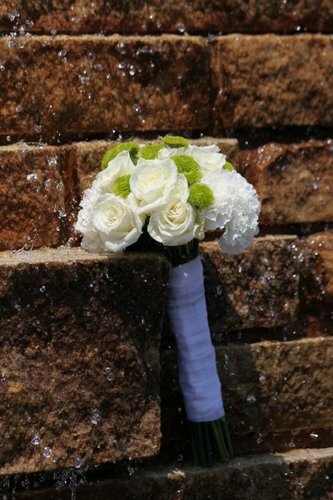 The exquisite bouquet above identifies the bridal blog account, though. One Dress One Day is a blog for all brides. 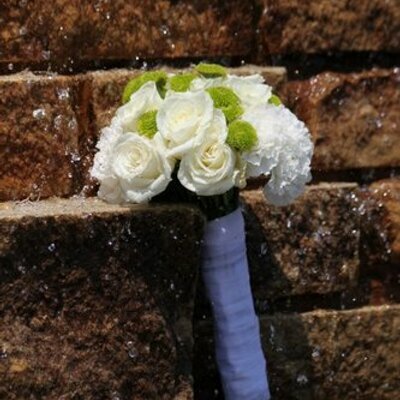 Enjoy things that are traditional, modern, unique, and creative to help you create the perfect wedding day.